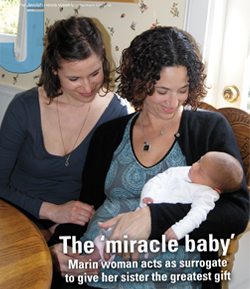 The miracle baby: Marin woman acts as surrogate to give her sister the greatest gift – J. 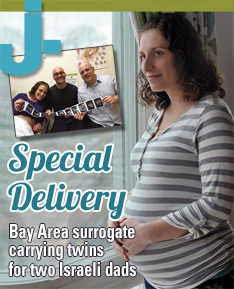 She gives credit to their fertility doctor at New York University, Dr. Nicole Noyes, for going “above and beyond” in caring for both sisters during the pregnancy; to Jeremy, now her husband; and to Yoakum’s husband, Charles, for being “rocks” throughout the process. Sanders is also extremely grateful to Tiburon’s Congregation Kol Shofar; both sisters say the Jewish community in which they were raised has been completely supportive. 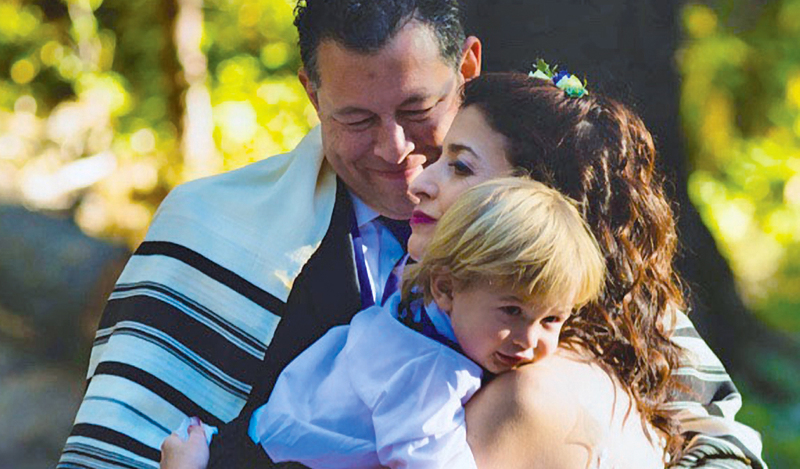 Abigail’s naming ceremony will take place at Kol Shofar on Saturday, March 26. For Sanders, the birth of her daughter is nothing short of a triumph — a wealth of good fortune after a couple of extremely complicated years. Diagnosed with a rare form of cervical cancer in 2008, at 28, Sanders underwent fertility treatment after deciding she wanted to preserve her eggs. She then went through three surgeries and chemotherapy. Yoakum says the hardest parts of the pregnancy for her were physical — regular hormone injections and the accompanying moodiness, not to mention the general physical toll of being pregnant at 42. But she never felt any emotional confusion about wanting the baby to be hers — something those around her, and perhaps those familiar with the “Friends” plotline involving surrogacy, might have been concerned about. “I didn’t know how I was going to feel,” she says. “But when Abigail was born — first of all, you get to be this fly on the wall, with parents seeing their baby for the first time. Who gets to do that? It was beautiful to see.